Very significant was Tobol's (#2, 14-8) victory against 3rd placed Almat.Legion (14-8) 109-101. Tobol have an impressive series of eight victories in a row. 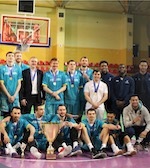 They maintain second place with 14-8 record having ten points less than leader Astana, which they share with defeated Almat.Legion. Tobol is looking forward to face Sinegorie K. (#5) in Kokshetay in the next round. Almat.Legion will have a break next round. Very significant was Almat.Legion's (#3, 14-8) victory against second-best Tobol (14-8) 91-83. 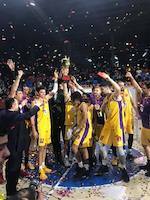 It ended at the same time the eight-game winning streak of Tobol. Almat.Legion moved-up to second place, which they share with defeated Tobol. Almat.Legion will have a break next round, and it should allow them to practice more before next game. Tobol will play at home against Sinegorie K. and hopes to get back on the winning track.